Golden yellow with notes of truffle. Fantastic. Here’s a little decadence for you to think about serving for Christmas Eve dinner. Many families gather together the night before for a celebration. Almost everyone who’s coming home for Christmas has arrived – and they have to be fed. The meat from three lobsters. Lobster is very popular at this time of year in Europe. Many of us here serve lobster as well. It’s doubly something to think about this year since the cost is so low. One local grocery has them for $5.99 per pound and it's cheaper if you buy from a lobster fisher from their truck. That’s low. This recipe is a good way to really stretch three of the beasts into a veritable feast. This recipe makes eight bowls and the lobster only cost $21. There’s only one problem with lobster – shelling them. It takes time, and some effort. Oh, well. I didn’t list the time for cooking and cleaning the lobsters. I cheated and bought mine pre-cooked but still in the shell. Hopefully you’ll have some help to shell yours. Choose carefully. It takes some will power to stay out of it as you clean! 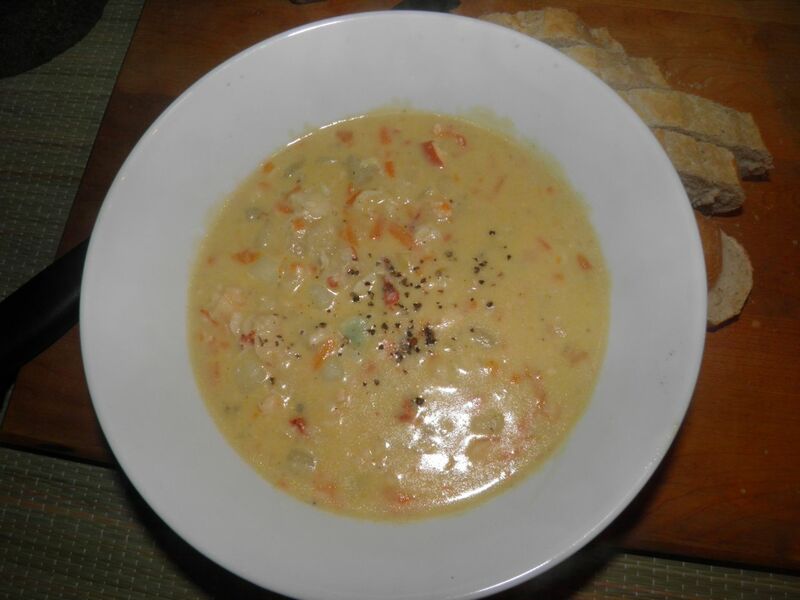 This recipe started out life as a down-home lobster chowder, but I tarted it up. The carrot adds a sweetness and colour that usually isn’t there and the truffle oil… well it’s truffle oil. The vegetables simmer in stock. Truffle oil has a thousand uses in the kitchen and the cost isn’t astronomical, even at $4 for a small bottle. It only takes a little to impart its truffle flavour. This chowder has a healthy does of butter so a little will go a long way due to its richness. 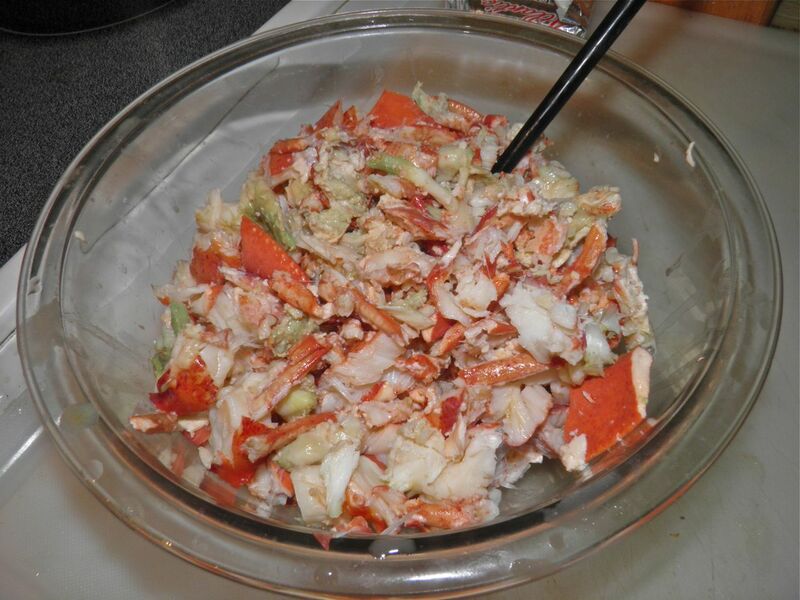 If you’re thinking about making something with lobster this holiday season give this recipe close consideration. It may even become a family tradition. Clean the lobsters and cut the meat into bite-sized pieces. 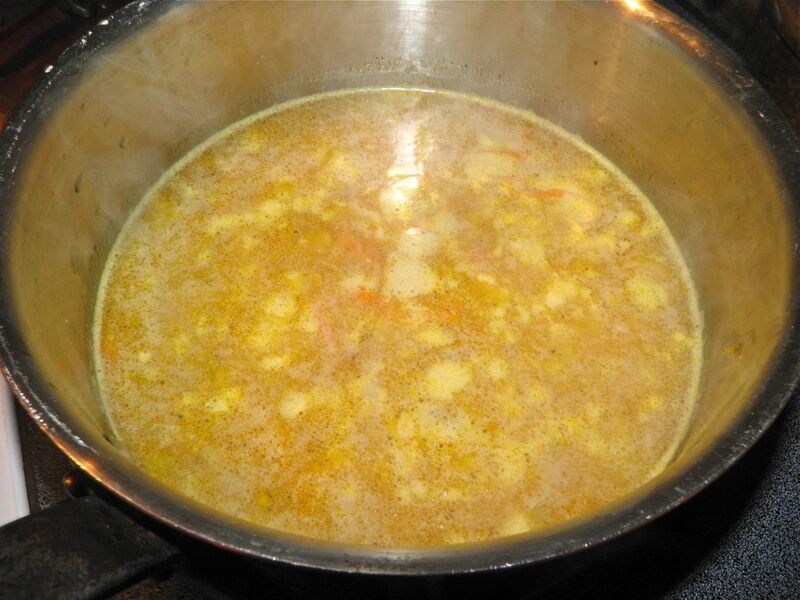 Heat half the butter and all of the oil in a large stock pot. Sauté the onion, garlic and carrot until the onions are translucent, about 8 minutes. Add the peeled and diced potatoes and the stock. Add the salt and pepper. 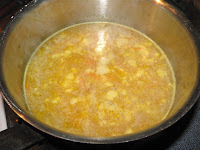 Bring to a boil and let simmer for 15 minutes. Knead the remaining butter with the 2 tbsp of flour so that it forms a paste. * Set aside. 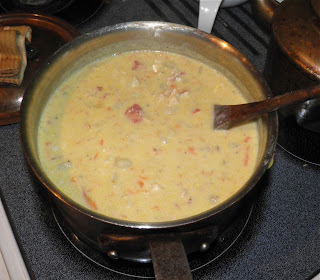 At the end of the time add the evaporated milk and bring back to heat. Add the butter/flour mixture and stir until the liquid in the pot thickens. Cook for 2 minutes. Add the lobster to the pot and bring the chowder back to full heat. 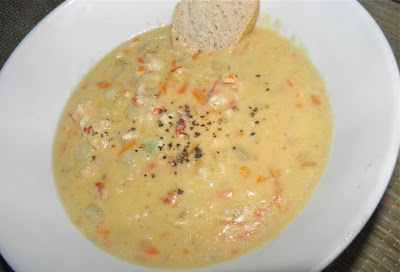 Serve in bowls with crusty bread. * Kneading butter with flour is a great secret for smooth gravy as well. No lumps!